A teenage girl regrets invoking a fatal spell on her mother. Teenage girls can say some pretty awful things to their moms in the heat of arguments, usually over the most trifling of matters. How many girls have wished death upon their mother when faced with a grounding, or being told they can't go that concert or date that boy, only to immediately regret such a harsh and over the top statement leaving their lips? "I wish you were dead!" So screams Leah (Nicole Muñoz), the put upon young anti-heroine of writer/director Adam MacDonald's second feature, the wonderfully named Pyewacket (if I ever find myself taking in some stray black cat, it's definitely getting named Pyewacket), when her mother (Laurie Holden) informs her that they're moving to a remote home nestled in the woods out of town. Since the death of her father, Leah hasn't been enjoying a cordial relationship with her mother, whom alcohol has turned into a Jekyll and Hyde figure. Mom (Holden's character is never actually named) has become neglectful of her daughter, serving leftover pizza for breakfast, while at the same time becoming overbearing, criticising every life choice the teen makes. Life isn't much fun for poor Leah, who retreats into the world of the occult, specifically that of her favourite author, Rowan Dove (James McGowan), whom she gets to meet in person at a local ibrary book signing (I find it hard to imagine a library in middle America inviting an occultist to sign books; hell, at this point I find it hard to imagine a library in middle America). Influenced by one of Dove's books, Leah concocts a potion - a mix of milk and her own blood - which she pours into the ground in the woods near her home, reciting an ancient spell that, if the text is to be believed, will claim the life of her mother. Returning home, Leah is surprised to find her mother still alive and well. She's even more surprised to find a home-cooked meal waiting for her at the dinner table. Suddenly Mom is all sweetness and light, not even giving Leah a hard time when the wound she inflicted on herself reopens, spilling blood all over her mashed potatoes. Over the next couple of days, Leah enjoys a new lease of life, as her mother really does seem to have changed. But Leah is plagued by guilt and paranoia over the spell she cast, and when she starts to feel a mysterious presence in the woods and hear unexplained noises in her home, it seems the spell may be real after all. Can Leah find a way to reverse the curse and save her mother? 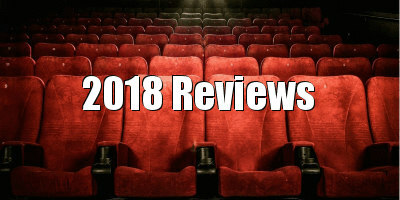 A large percentage of cinema's most impressive female performances have gone unacknowledged, simply because they've been delivered in genres - usually horror or comedy - that snobbish awards bodies frown upon. The female stars of horror are often dismissed as having little more to do but scream and look pretty, and to be fair, in a lot of bad horror movies that's all that's asked of them. The good horror movies present their female stars with challenging roles that really test their acting chops, placing heavy demands on their ability to visually convey a variety of moods and states of mind. 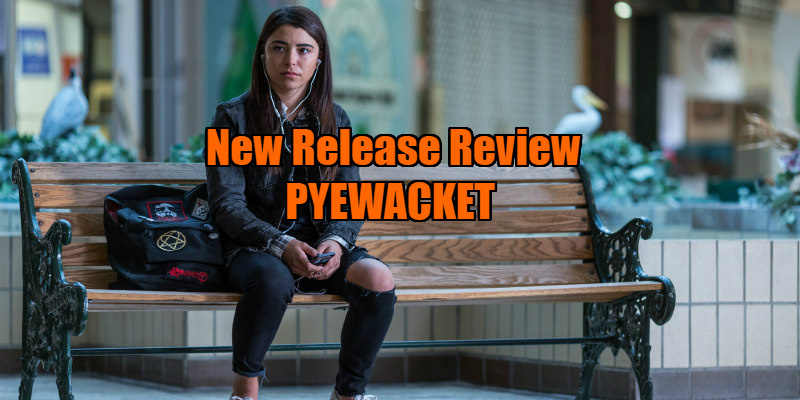 Pyewacket is one of those good horror movies, and it asks a lot of its young lead. Muñoz proves up to the task - just as well, as a lesser performance would have toppled the entire film, so reliant is it on a human performance rather than special effects. Adopting an old-fashioned approach, MacDonald allows the audience to feel the fear and uncertainty that dogs Leah through spending time in her presence rather than prodding us with cheap jump scares or excessive gore. We really feel the growing knot in Leah's stomach, the unrest in her mind, thanks to the subtly expressive work of Muñoz, who never retreats into histrionics. MacDonald's writing and directing is equally adroit. The titular demon does make an appearance of sorts, but for the most part MacDonald lets the audience fill in the blanks, and frankly I found this more effective than the eventual physical rendering of the demon, which isn't the most original of creations. Pyewacket is at its most unsettling when MacDonald uses Muñoz's face to create dread, such as a truly spine-tingling scene in which Leah finds herself on an isolated road, MacDonald offering us the sound of footsteps behind her while keeping his camera tight on her face, letting the audience fill in the blanks with our own specific fears. If I have a complaint about Pyewacket it's in relation to its ending, which feels abrupt and more befitting of a short film or an instalment of a horror anthology rather than a feature. But this is a film that's all about taking a journey in the ravaged mind of its protagonist, and the dual efforts of MacDonald and Muñoz make it one of the more intriguing American indie horror movies of recent years. I can't wait to see what they do next. Pyewacket is available on Digital HD April 16th and DVD April 23rd.